In May, 1964, NBC put up $20,000. Roddenberry was to develop three stories for the pilot, then write a script based on the network’s favorite. 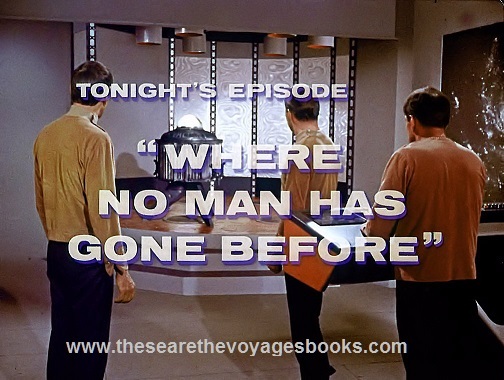 One was the script for “Where No Man Has Gone Before,” written by Samuel Peeples (and without credit, Gene Roddenberry). The other two would be filmed as episodes of the series. What were they? Roddenberry wrote one of the other two scripts, “The Omega Glory,” later filmed as a second season episode. Stephen Kandel wrote the third – “Mudd’s Women,” based on a story by Roddenberry, and later rewritten by John D.F. Black, with a script polish by Roddenberry. 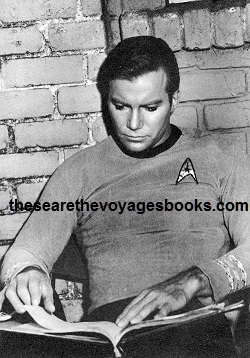 Buy "These Are The Voyages"